BlackBerry has launched the 9720 smartphone running the 7 OS in a bid to stay relevant in the growing low end of the smartphone market. 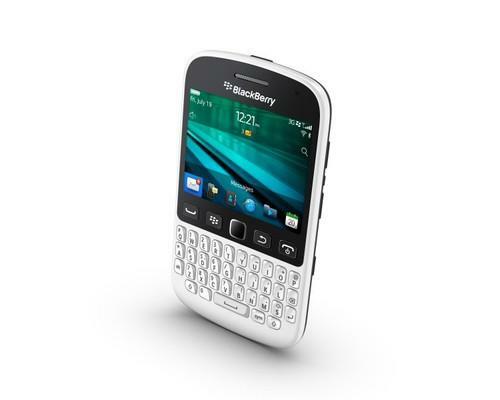 The BlackBerry 9720 is pitched as a social starter smartphone. The launch of the new device comes as BlackBerry on Monday formed a committee to explore strategic alternatives for its future that could include joint ventures or a sale of the company. As its new BlackBerry 10 operating system struggles to get off the ground, the company is still depending on the old version 7. During its last fiscal quarter BlackBerry shipped 6.8 million smartphones, but only 2.7 million phones running the new OS. The launch of the BlackBerry 9720, which runs a refreshed version of the BlackBerry 7 OS, may play to the company's dwindling strength. The smartphone has a re-engineered physical QWERTY keyboard with a dedicated BBM key, a trackpad and a a 2.8-inch touchscreen with 480 x 360 pixel resolution. The smartphone also has a 5-megapixel camera and an FM radio. Connectivity options include HSPA, 802.11n and A-GPS. On the software side, BlackBerry has focused on social networking features. Users can write a message once and post it simultaneously to their friends on BBM, Twitter and Facebook, for example. The updated interface also lets users swipe to unlock the phone or access the camera from the lock screen, among other enhancements. The company didn't provide pricing, but beginning in the coming weeks, the BlackBerry 9720 smartphone will be available in select markets from retailers and carriers in Asia, Europe, Africa, the Middle East and Latin America. BlackBerry didn't disclose plans for U.S. availability.